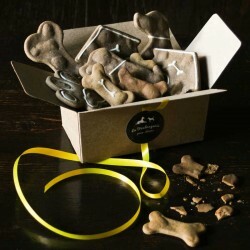 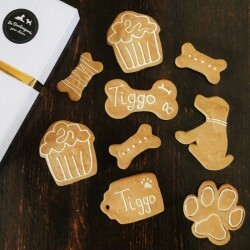 Dog shaped biscuits, flavour Apple Crumble - too cute! 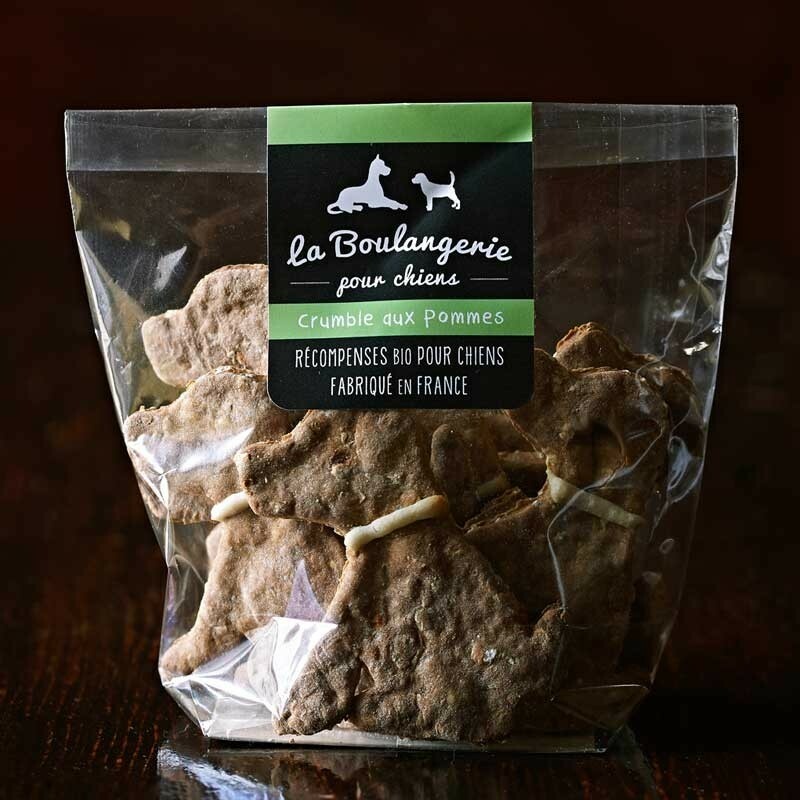 Packed with organic apples, oats and with the benefits of molasses and cider vinegar - these biscuits are crunchy, delicious and healthy for your dog. 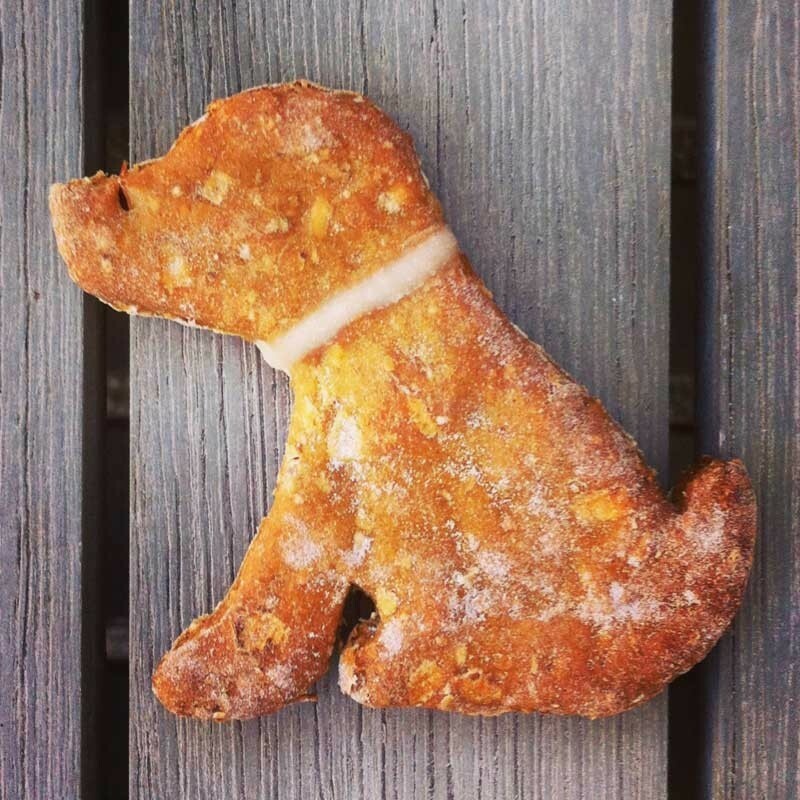 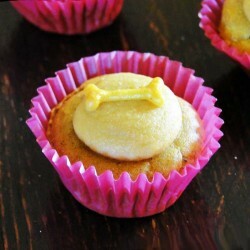 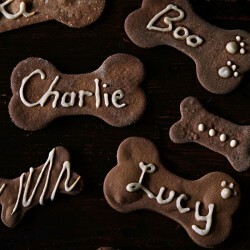 At The Boulangerie pour Chiens, we use real yogurt in the icing on our dog biscuits - without sugar or oil.